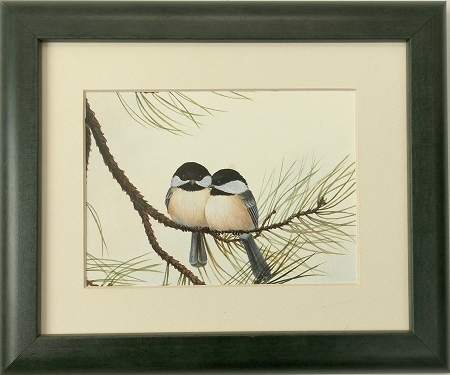 Two love bird chickadees sitting on a branch in an outdoor environment. Unique wall decor or decorator print. The detailing in the feathers enhance its character. Single creme mat with green wood dome frame. Wall hanging system included with glass front.